Blizzard’s new expansion for World of Warcraft matches launch-day record with 3.3 million sold. Heroes of the Horde and the Alliance from around the globe unite as World of Warcraft achieves the highest launch-week player concurrency since Cataclysm®. With Azeroth on the brink of destruction, heroes from around the world were summoned to drive back the Burning Legion’s armies last week with the launch of World of Warcraft®: Legion™, the sixth expansion to Blizzard Entertainment’s acclaimed massively multiplayer online role-playing game. Today, Blizzard announced that players have forged a truly formidable defensive front—as of the expansion’s first full day of launch on August 30, more than 3.3 million copies of Legion had sold through, matching the all-time record achieved by previous expansions and making it one of the fastest-selling PC games ever. In addition, World of Warcraft’s launch-week player concurrency climbed to its highest point since the 2010 launch of the Cataclysm ® expansion, as champions from around the world united to strike a mighty first blow against the fel invaders. But the battle has only just begun. While players are currently entrenched against the first wave of demonic invaders, Legion’s next exciting chapter is already in the works. Last weekend at PAX West, Blizzard unveiled new details on the expansion’s upcoming first major content update, Patch 7.1: Return to Karazhan, featuring a reimagined version of one of World of Warcraft’s most popular raids. Players will explore a sprawling five-player Mythic dungeon, facing familiar foes from Karazhan’s past—and encountering plenty of surprises and twists along the way. The update also features a new set of quests unfolding over multiple weeks in the fallen night elf city of Suramar, as well as a brand-new raid: the Trial of Valor, which sends players deep into the vrykul underworld of Helheim. 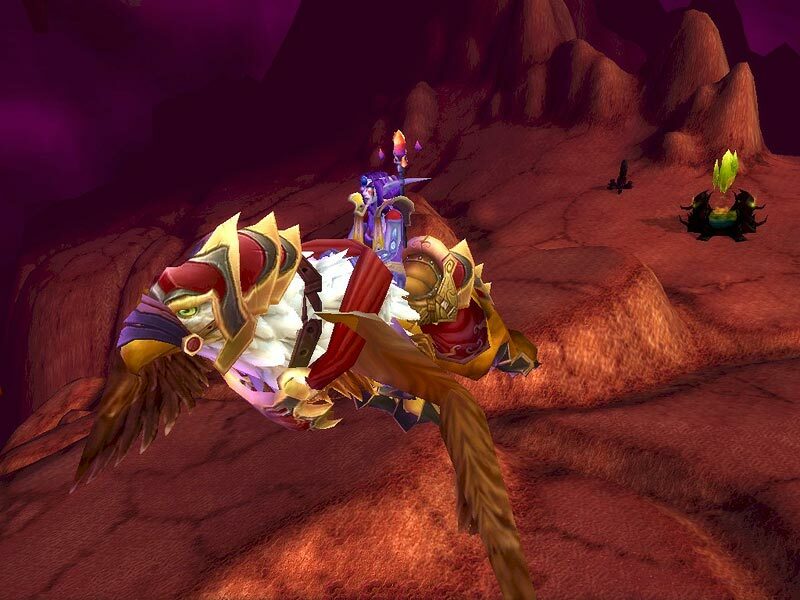 On Tuesday, Blizzard released the free WoW Legion Companion app, a new way for players to stay connected to their adventures on the Broken Isles, even from outside of Azeroth. With the app, players can manage their Order Hall missions and track World Quest availability, making it easy to plan out their adventures from afar. Available free now on iOS and Android™ mobile devices, the WoW Legion Companion App can help heroes keep the Burning Legion’s fel fire at bay even while on the go. The great enemy of Azeroth is back, and soon the kingdoms of the Horde and the Alliance will be consumed in a storm of fel fire. On August 30, realms will shatter, heroes will fall, and the world will stand on the brink of destruction with the launch of World of Warcraft®: Legion™, the sixth expansion for Blizzard Entertainment’s acclaimed massively multiplayer online role-playing game. Defenders of the Alliance and the Horde can steel themselves for the return of the demonic armies of the Burning Legion by pre-purchasing World of Warcraft: Legion digitally at www.wowlegion.com . Players who pre-purchase will unlock an instant level-100 character boost, as well as early access to the Demon Hunter—Legion’s dextrous and deadly new hero class—prior to the expansion’s release. World of Warcraft: Legion will be available in a Standard Edition (physical and digital versions available, £34,99). Players also have the option to upgrade their pre-purchase to the Digital Deluxe Edition (£49,99), which contains a hoard of in-game bonuses for a variety of Blizzard games, including an Illidari Felstalker mount and pet for World of Warcraft, a Felstalker mount for Heroes of the Storm®, a helm transmog and wings for Diablo® III, and a pair of fel-infused StarCraft® II portraits. 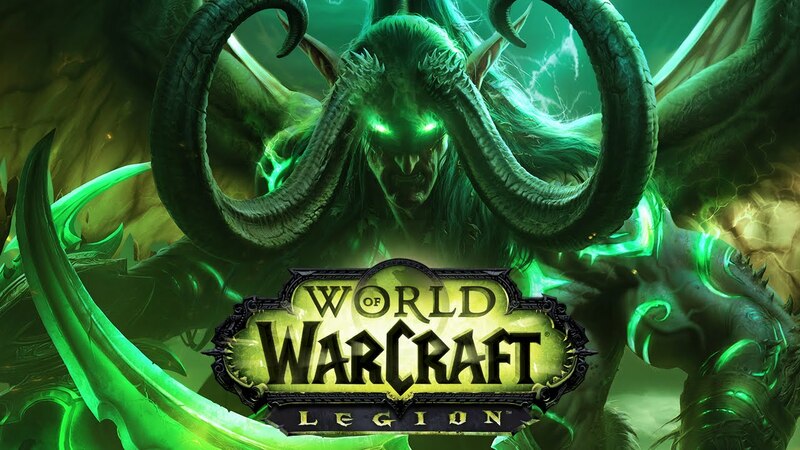 Players who pre-purchase Legion either at participating retailers or the digital Standard Edition or Digital Deluxe Edition of Legion through www.wowlegion.com , will be able to immediately boost one character to level 100, allowing them to experience the latest World of Warcraft content alongside their friends. World of Warcraft: Legion will also be available in a retail-only Collector’s Edition (£64,99), which includes the digital bonuses from the Digital Deluxe Edition along with a full-color hardcover art book, a behind-the-scenes two-disc Blu-ray/DVD set, a CD soundtrack, and a Legion mouse pad. Supplies are limited; players should check with their local retailer for preorder details and availability. · New Hero Class: Demon Hunter— Unleash the demon within as an all-new melee hero class gifted with preternatural mobility—and the ability to metamorphose into hellish new forms. · New Feature: Artifact Weapons— Smite the Legion with class-specific weapons of lore. Unlock abilities and traits, and customize your weapon to suit your needs. · New Continent: The Broken Isles— Discover the fate of a lost night elf civilization, confront twisted fragments of the Emerald Nightmare, and hunt agents of the Legion in all-new zones. Forge your own path through the Broken Isles as you explore content that dynamically scales to your level. · Boost to Level 100— Come fully prepared to battle the Legion with a level-100 character boost, and fight alongside your friends in this epic new chapter of World of Warcraft—available immediately upon pre-purchase. · New Feature: Class Hall— Gather with fellow members of your class and unite followers of your order—including iconic characters from Warcraft lore—to carry out missions at your command. · New PvP Honor System— Fight for fame, glory, and a range of new PvP-specific powers as you face the opposing faction in Arenas and Battlegrounds. 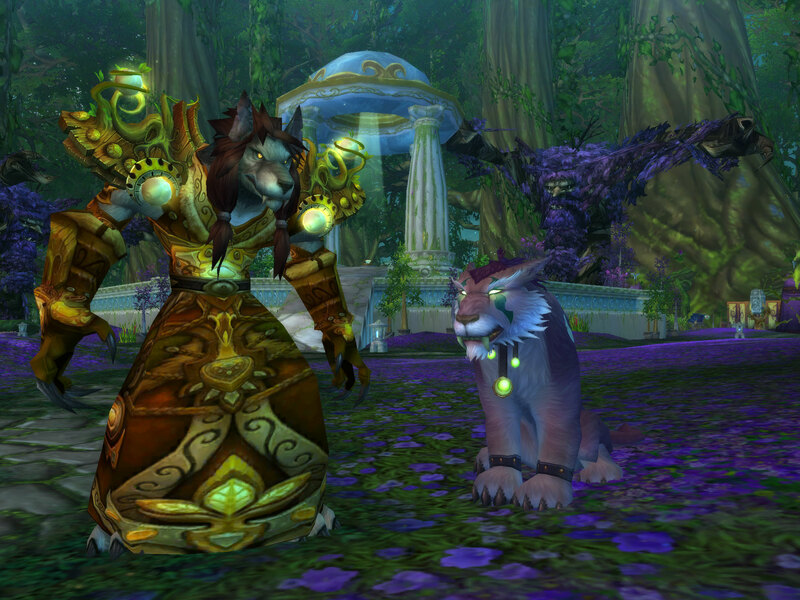 At Blizzcon this past weekend, Blizzard announced the next expansion for World of Warcraft, Warlords of Draenor. The fifth expansion to Blizzard Entertainment’s acclaimed massively multiplayer online role-playing game, sends players to the world of Draenor at a pivotal moment in history to fight against and alongside legends from Warcraft’s brutal past. Blizzard has revealed details about the UK launch of World of Warcraft: Cataclysm when the much anticipated expansion is released next month. GAME will host the official launch event for World of Warcraft Cataclysm which will take place at Sound, Leicester Square on the evening of December 6th. Fans will not only be among the first to get there hands on Cataclysm when it’s made available at midnight, but they’ll also get a chance to meet Blizzard staff. Naturally, with this being a World of Warcraft event, there’s the obligatory costume content, and Blizzard say there will be prizes for the winners. The current details about the World of Warcraft: Cataclysm launch event, including costume contest guidelines, can be found on the Blizzard website. Expect it to be updated nearer the time with more information. In addition to the big launch event, Blizzard say that other retailers around the country will be opening their doors for midnight launches of World of Warcraft: Cataclysm. Changes that Cataclysm will bring to the World of Warcraft include dramatically altering the make up of Azeroth, providing new quests, allowing characters to level up to level 85, and play as two new races, Worgen and Goblins. World of Warcraft currently has over 12 million subscribers, could Cataclysm encourage even more people to sign up to the worlds most successful MMO? So Train2Game, are any of you World of Warcraft players? If so, will you be attending a midnight launch event? And if you want to wear one, have you got any ideas for a costume yet?